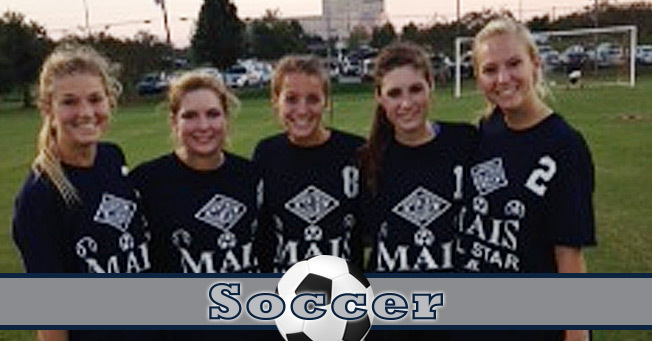 The varsity Raiders girls soccer team advanced to the semifinals in the MAIS. Seniors earning All Star recognition are Ashley Gnam, Alison Turbeville, Denver Wilson, Morgan Scott, and Madi McNair. Named All Conference are Emily McNair, Conley Chinn, Beatty Carpenter, Ashley Gnam, and Denver Wilson.